This is how EthosCE helps learners and providers with CME credits. 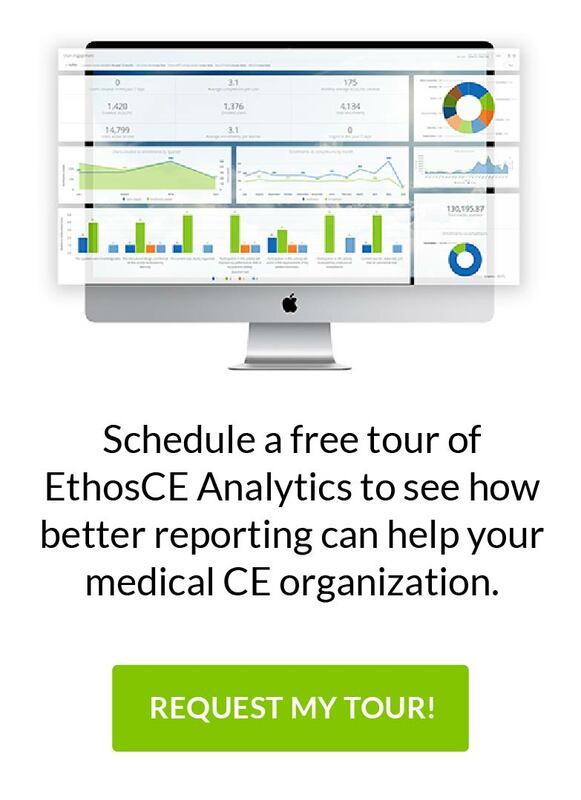 For learners in the field of medicine, you would be hard-pressed to find an easier, more effective way to earn CME credits than through the software provided by EthosCE. Our software is constantly being updated with the latest in LMS technology to precisely meet the needs of learners and providers. Here are a few examples of the features that have been implemented to improve your LMS experience. If you are a learner, or in the position of helping learners earn CME credits, you will find the transcript management options to be quite useful when the tracking progress of CME credits online. We’ve included the option to keep tabs on any session credits that may have been earned, as well as external credits that have been accumulated at live events and lectures. Plus, you have the option to turn those reports into printable PDFs in case they are needed. Learner profiles aren’t just an important asset for the learners themselves; they also serve a useful purpose for administrators. By implementing individual learner profiles for each user, we’ve created an easier means for tracking user accounts and their current status for earning CME credits. You can also access and check each learner profile for updates on activities that may have been completed, or see their listed account information. Meanwhile, learners have the option to take part in bookmarking pages, editing information and currently-active activities. One of the most useful items for continued medical education administrators is the ability to quickly evaluate a learner’s status through their activities’ completions. With our LMS software, you will have access to a full list of learners and their responses. Each report can be converted to PDF, or you can edit them beforehand if necessary. The charts provided help show progress between correct and incorrect answers. And, when all’s said and done, you can utilize web services to automatically transmit those earned credits to organizations like ACCME, ABIM and ANCC. EthosCE strives to provide our customers with the latest in technological updates towards helping learners earn CME credits. EthosCE is the industry-leading, SCORM-compliant learning management system designed to automate and modernize the delivery of continuing education in the health professions. We work closely with leading medical associations, academic centers, and health systems to optimize their technology infrastructure and create an easy-to-use and intuitive environment for learners and CME administrators alike. For more information about EthosCE, please contact us at 267-234-7401.